Over the last 2 weeks we have learnt more about How Babies are Made and How Babies are Born. This has led to some great discussions and questions from the children; showing how mature and sensible they can be about some quite sensitive issues. We will be sending home the sheets we have looked at after the final session next week; so please use this opportunity to discuss with you what they have learnt. Wk 2 - Tuesday 20th June. 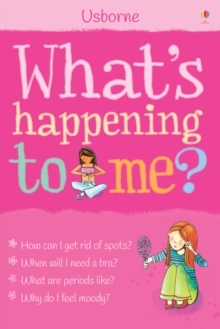 This week we watched a DVD about some of the changes that will happen to us as we go through puberty. We sorted changes into those that will happen to just boys, just girls as well as changes that will happen to all of us. In addition to the physical changes, we also talked about the emotional changes that we will go through as well as recognising that some of these changes we can control, whereas others we cannot control. We hope you have an opportunity to have a further discussion at home around some of these areas. Wk 1: 14th June 2017 We have started our SRE work in Year 5 by revising body parts and names. It soon became obvious that there are different names for some body parts, so we talked about the proper words we should be using. We looked at some of the things that we could and couldn't do when we were babies, and the changes that we have gone through in the first ten years of our lives. Next week we will watch a video about puberty and find out about the physical and emotional changes that we will go through.